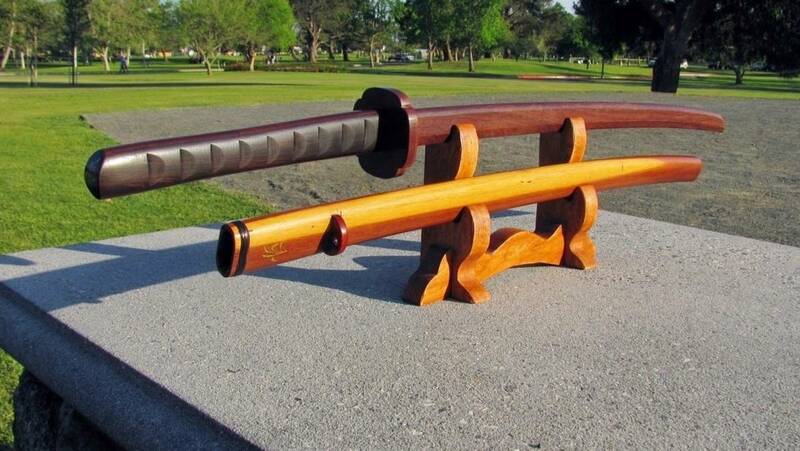 I’m often asked why I use Brazilian panacoco almost exclusively for my training swords. I usually answer, because it feels good in hand, or it has a nice percussion. These are personal things I feel about panacoco. However, there are many other factors to consider when choosing the ideal hardwood for training weapons. 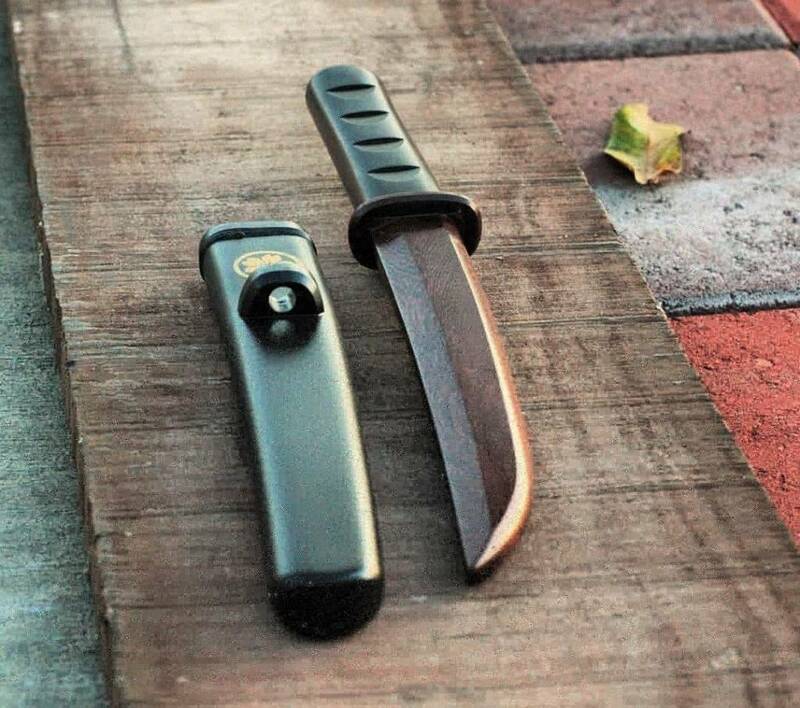 Density, hardness and flexural strength are the main reasons why I have chosen to use Brazilian panacoco for all my training swords and knives. Besides having excellent structural qualities, panacoco is also aesthetically pleasing with tight beautiful grains and a rich dark brown color. Fortunately, this wood species is not listed in the CITES Appendices or on the IUCN Red List of Threatened Species. Let’s first take a look at density. Weighing in at 72 lbs/ ft3, panacoco is considered a very dense or heavy wood. 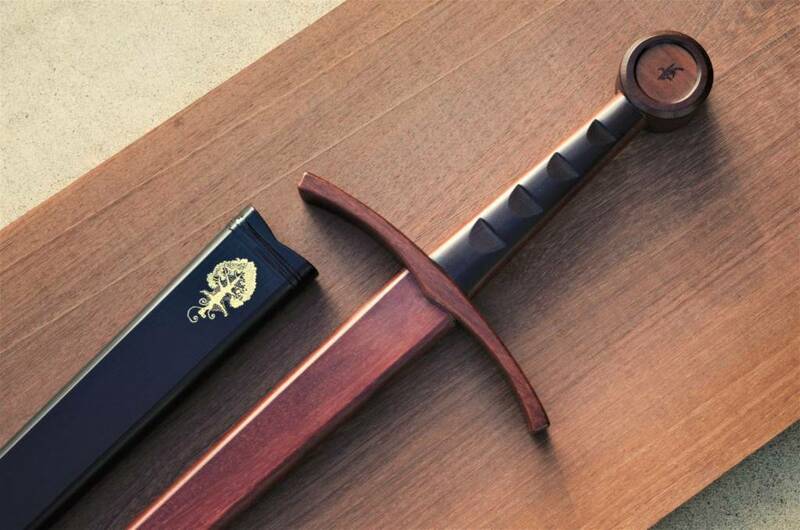 This makes it ideal for training swords, since the goal is to have the weight as close to a steel sword as possible. The weight is also important to create the right balance or mass distribution. For instance, distributing more mass towards the tip of the sword can produce a more robust cut, while more weight towards the hilt can improve agility. Next, let’s consider hardness. The hardness rating for woods is measured in janka, which can be interpreted as resistance against denting. Panacoco has a janka rating of 3700 lbf. Compared to hickory and white oak which have janka ratings of 1800 lbf, panacoco is definitely much harder. Finally, let’s take a close look at another attribute of panacoco, it’s flexural strength or modulus of rupture. This is the bending or flexing strength of the wood, or its ability to take stress. Panacoco is rated at a very high 28,100 lbf/ in2, compared to hickory which stands at 20,200 lbf/ in2. 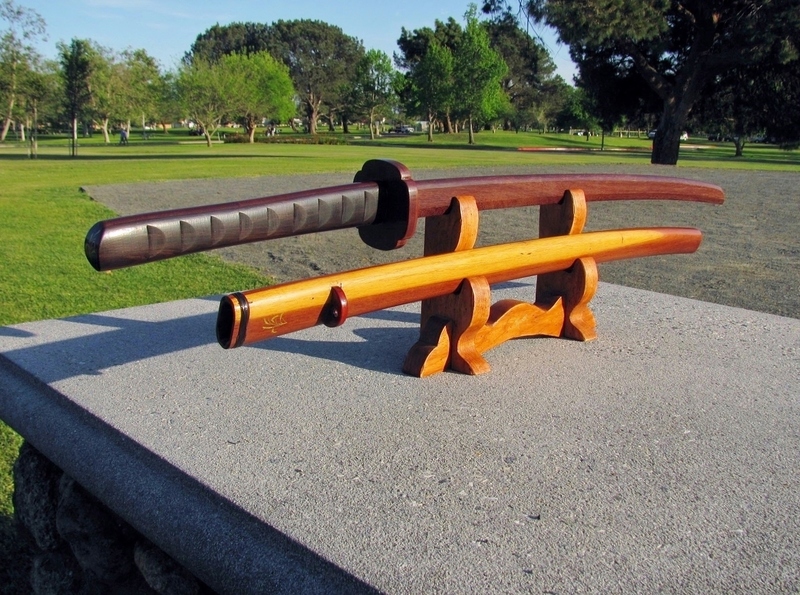 This measures the ability of the wood to resist breaking or cracking during heavy contact with other wooden training swords. 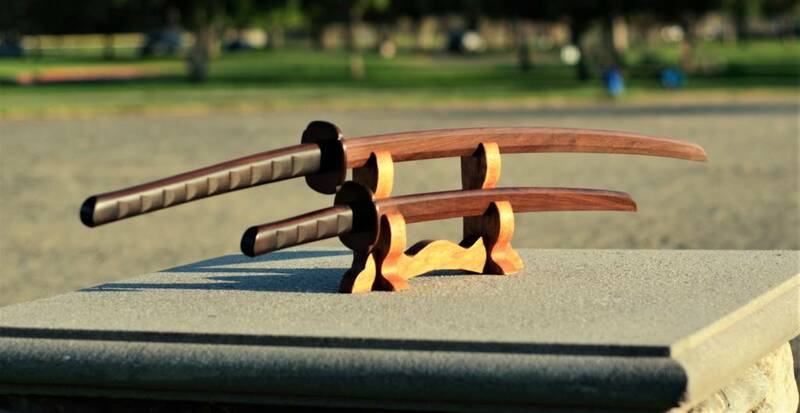 Overall, Braziilian panacoco excels in density, hardness and strength, which makes it the ideal hardwood for my training swords and knives. Please feel free to contact me if you have any additional questions or inquiries! & theme. Did you build this site yourself?